Everybody has to Die. Then, why Cry? 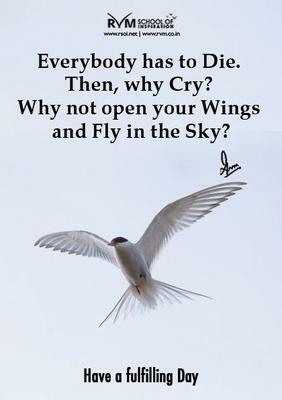 Why not open your Wings and Fly in the Sky?